The most important treasure in life is a heart that accepts the Spirit of Our Lord and Savior, Jesus Christ, and "Passes It On" while pulling others up! 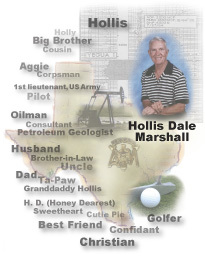 Hollis D. Marshall was a renowned geologist, "oil finder," loving husband and father - and proud Aggie. To honor him, his family set up the Hollis D. Marshall Memorial Scholarship Fund. The Scholarship is awarded to individuals pursuing higher academic achievement, and it will provide assistance to select individuals with the same ideals of excellence and the desire to give back to their communities in the U.S. and internationally. The Scholarship Fund is administered by WoodsEdge Community Church, The Woodlands, Texas. Judy started the Scholarship Fund to honor her husband. To expand the fund, she began making marathon cycling tours across the US and beyond, obtaining sponsorships from generous donors. Click below to see some of the highlights of her trips. Hollis D. Marshall graduated from Odessa High School in 1947, then attended Odessa Junior College. To complete his studies, he transferred to Texas A&M, where he joined the Corps and graduated with a BS degree in Geological Engineering (1954). He entered the US Army as 2nd Lt. for pilot's training and was honorably discharged with the rank of 1st Lt. After serving his country, Hollis returned to Texas A&M to obtain his MS degree in Petroleum Geology (1959). He started his career at Humble Oil (later Exxon), and worked in the Texas cities of Pleasanton, Kingsville, and Corpus Christi. After 17 highly successful years as an "oil finder" with Exxon, Hollis ventured out on his own as an Independent Consulting Geologist. He became renowned for his geological work in South Texas. His expertise was the "Yegua and Frio Formations" in Starr County, Texas and surrounding areas. Hollis found numerous profitable reserves for Samedan Oil Corporation, Harwood Exploration, Mueller Engineering, and others. 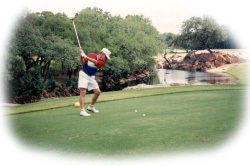 In 1989, he left Corpus Christi to marry Judy Paine, Geophysicist with ARCO Oil and Gas Company, and they set up residence in The Woodlands, Texas. Hollis was not only an outstanding geologist, he also had the reputation of excellence in everything he undertook - even golf! He is the embodiment of a true Aggie. Hollis is survived by his wife, Judy Paine-Marshall of Conroe, Texas, and three children: Dawn Marshall Nagala of Friendswood, Texas; Jeff W. Marshall of San Antonio, Texas; and Holly Marshall Thomson of Whitfield, Queensland, Australia. Hollis is buried at Lakeland Hills Memorial Cemetery in Burnet, Texas near Horseshoe Bay, his second home. Judy's life changed significantly when her husband, Hollis Marshall, died on August 18, 2001, from a long bout with Alzheimer's. The present period in her life has become her "Halftime" journey. Bob Buford, in his book, Halftime (1998) wrote: "Halftime is a time to reflect on your life and determine what would give your life additional meaning and significance in the years to come." Judy is discovering that her "Halftime" is about risk, adventure ... and faith! 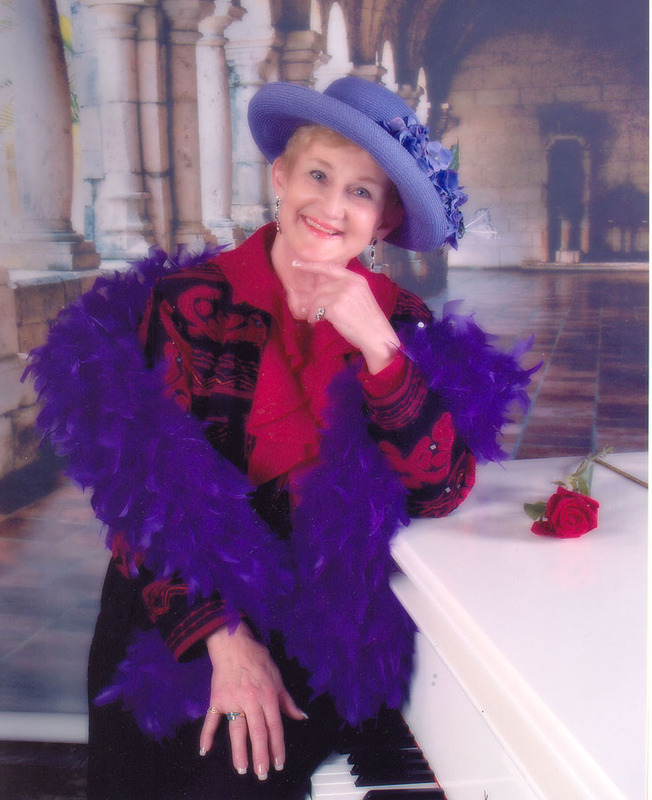 Judy hopes to instill in The Scholarship Fund's Scholarship Recipients the inspiration she received from very special people encountered throughout her life. "The more they encouraged me, the more I found the inner strength to accomplish what I initially thought was impossible. Hollis Marshall was one of many people who took time to invest in my life. It is to these special people that I dedicate the rest of my life's work to 'Pass It On.'" 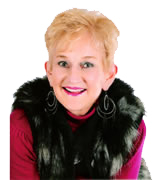 Born Judy Otts, she graduated from NW Classen High School in Oklahoma City in 1957, and completed her BS in Geology at the University of Oklahoma. She married in college, becoming Judy Paine. She has since become the mother of three children: Jenee' Paine Moore, Scott Paine, and Kendall Paine Ramirez. Collectively, she has eleven grandchildren: Coleman & McCall Moore in New Jersey; Owen & Emmett Ramirez, Dustin & Tyler Fox, Courtney Marshall, Christopher & Laura Nagala in Texas; and Susan & Gregory Thomson in Australia. She began her 21-year career with Arco Oil & Gas Company in Dallas, and while there, became a geophysicist. After retiring from Arco in 1991, she consulted for Exxon Oil Company and Burlington Industries for another 6 years. 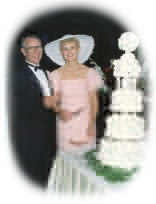 Judy married her friend, Hollis D. Marshall, an Independent Petroleum Consultant, on October 1, 1989. They relocated to the Houston area, where she still resides. Judy and her late husband, Hollis, are Charter Members of WoodsEdge Community Church (WECC) in The Woodlands, where they initiated the "Muffin Ministry" for visiting newcomers. While living in Dallas, Texas, Judy Paine became a marathoner. She has since run over 17 marathons, including Boston, and ran the New York City marathon in 3 hours, 34 minutes. 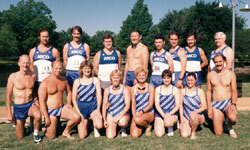 Judy organized Arco's regional and national teams to the Corporate Cup Relays and the Aerobics Fitness Festivals. She was one of the first women to join the Aerobics Athletic Center, which was an athletic club "For Men Only." (She still remembers what it was like to break into an all-men's club!) That year, 1975, she won the Aerobics Center "Rookie of the Year" award. On her 40th birthday, Judy ran the Fort Worth Cowtown 5-mile race, and came in 1st overall for the women. Later that year, she also won the Tulsa Marathon overall for the women. In 1979, Judy Paine began entering triathlons and placed 1st in the Women's 40-45 Year Division, held in Plano, Texas. Ten years later, in 1989, Team USA formed a competitive team to commemorate the First International Triathlon to be held in Avignon, France. Judy was 50 years old at the time. She qualified for Team USA by winning her age group in Dallas, came in 2nd in her age group in Hawaii's Tin-Man, and placed 5th at the First International Triathlon in Avignon, France. Judy is a member of the Woodlands Cycling Club (WCC) and the Woodlands Running Club. She is also a Distinguished Toastmaster (DTM) with Woodlands Toastmasters and won the Woodlands Toastmaster of the Year Award in 2012. Judy a member of WoodsEdge Community Church where she served as Benevolence Team Leader for 4 1/2 years between 2008 and February, 2013. Judy is also a member of WOAMTEC (Women on a Mission to Earn Commission) where she promotes a company called SendOutCards. Please visit Judy's SendOutCards website and send out a free card: www.sendoutcards.com/148590. The income earned from her business goes solely to help fund the scholarships at WE. If you think you would enjoy using SendOutCards.....get in touch with Judy Marshall at bikinjudy@yahoo.com. She welcomes any of her website readers to go to her site listed above and to send out a free card to any person of their choice. (See what a great concept this is, see how easy it is to use and see how reasonable it is to take a moment to act upon your inner promptings to make someone feel better or to show appreciation). Now, Judy P-M wants to spend her life helping young people and individuals she encounters throughout her life with the "Pass It On" philosophy through the Hollis D. Marshall Memorial Scholarship Fund. Our greatest natural resouce ... our youth. The greatest joy ... giving. The greatest "shot in the arm" ... encouragement. The most contagious spirit ... enthusiasm. The worst thing to be without ... hope. The greatest problem to overcome ... fear. Two power-filled words ... "I can." Our greatest asset ... faith -- "We can." The "high road" is often not the easiest road, but it is the only one that leads to the highest level of living! Judy continues to take cycling tours from time to time. Her first was the 2003 CrossRoads Cycling Adventures tour from Los Angeles to Boston, (3415 miles). Each time she rides she enlists the support of friends and family to help sponsor her per mile. All the money earned goes into the Hollis Marshall Memorial Scholarship Fund at WoodsEdge to assist deserving candidates with their college tuition. In 2005, she took her "dream vacation" to New Zealand to cycle the Southern Alps. In 2006, Judy again cycled across the US with CrossRoads Cycling Adventures and in 2008, she cycled with them down the East Coast from Portland, ME to Daytona Beach, FL. This coming June 2013, Judy plans to take her Casita trailer and bike and head for Bryce & Zion Canyons in Utah. There she will hook up with a group from Adventure Cycling to cycle the canyons for one week. The purpose of this scholarship fund is to encourage chosen candidates to continue the "Pass It On" philosophy whereby they are helping pull others up throughout one's life and to promote true Christian values without expecting anything in return. To download The WoodsEdge Memorial Scholarship Fund application, click here.